The Green Shop story is a great one. In September 2010 Two wonderful women took their precious time to open and create The Green Shop, Carole Williamson and Sandie Buckles. Thanks to their ethos and spirit, we are still here 7 years later serving our community. A Make over after 7 amazing years of Fundraising for the Village. In September 2017 we decided after 7 years the shop needed a little TLC. We started with outside and the colour! And after months of designing, resourcing etc, the downstairs has been transformed. 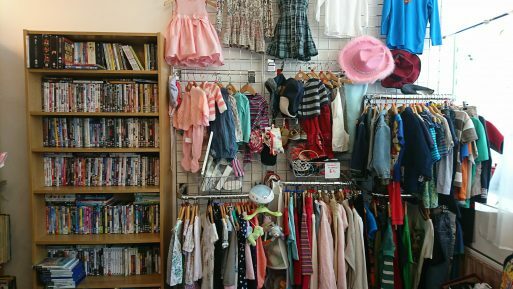 Every day we are amazed by the generosity of donations we receive, hence why we can stock such wonderful items in the shop, the clothes are like new! As you can see by the pictures, we have many rooms over 2 floors. 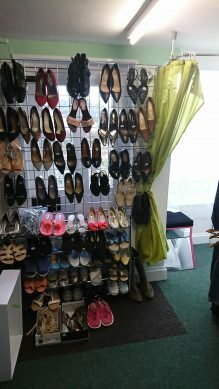 Ground Floor contains Clothing for Men, Women, Children and Teenagers! 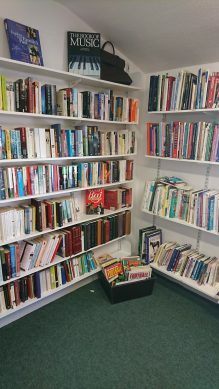 Also some bric a brac, DVD’s and CD’s, Computer games, puzzles and so much more. 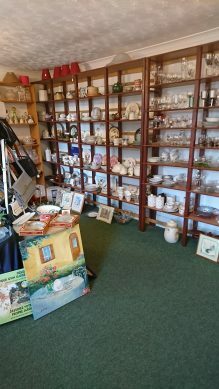 The Front Room, where you can find ornaments, glassware, tea sets, crockery, electricals, finery, too much to mention, you’ll have to see for yourself! 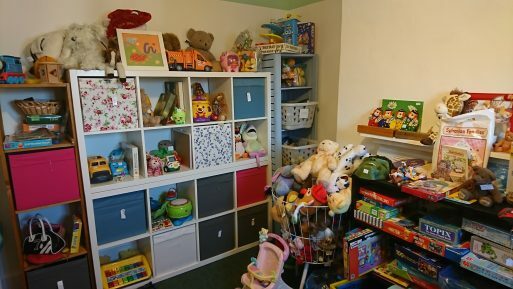 The Childrens’ Room. This has just been redecorated and refurbished, all for the kids in mind. Playing games by sliding open the boxes to see what’s in there, all off the floor, to give them more room to play and enjoy and hopefully find what they were looking for. 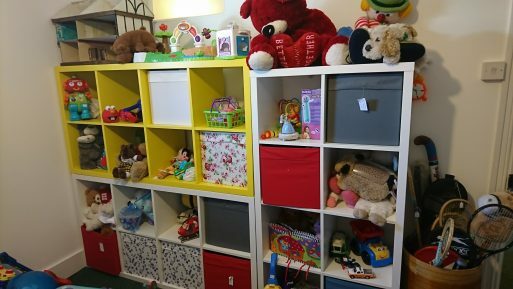 The books are now arranged in age order, so no more scouring through all the books for your toddler! The Library. This room is situated past the picture hallway and down a few steps. 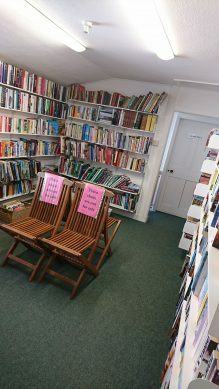 This room is full of amazing books, we even have chairs for you to sit and peruse a few chapters! 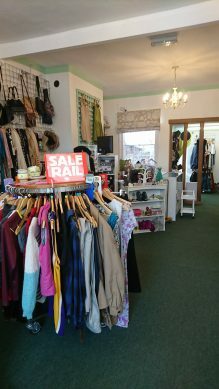 The Shop is managed by Marianne Relf and assistant Amy Langley. 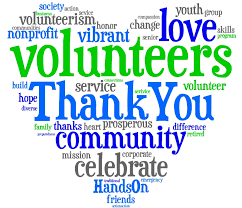 We currently have 18 volunteers whom we rely on to take care of our amazing customers every single day. We are very flexible and some of our volunteers like to work set days, whilst others slot in between their other commitments. Volunteers are always welcome and if you would like to help in the Shop do pop in and talk to Marianne and ask for an application form. What do we sell in The Green Shop? Well, almost everything we’re donated!!! although we do not accept furniture, only the odd small bit, if we have room! Unfortunately we do receive items that cost us to dispose of! so please think before giving to us, or alternatively pop into the shop beforehand and ask for Recycling Bags and a leaflet which will give you an idea of what to donate and what to put in your own bin! This saves an enormous amount of time and money! All these items and many more can be disposed of in the Green bin outside your home, or taken to the recycling centre at Wadhurst or Battle. PLEASE DO NOT LEAVE DONATIONS OUTSIDE THE SHOP DURING CLOSED HOURS. THIS UNFORTUNATELY LEAVES IT VULNERABLE TO BE REMOVED AND NOT USED FOR YOUR INTENDED PURPOSE. 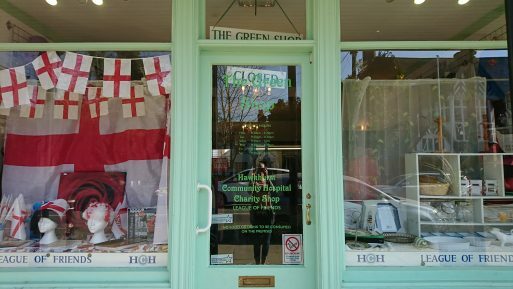 So when you have spare time, pop in and introduce yourself to the Green Shop, the rooms, the quality of the items and the reason why we are open! To Raise Money for the Community of Hawkhurst as the League of Friends. Since opening the funds generated have allowed us to purchase, Cryotherapy equipment, costing £2000 (used for treating warts and such-like) which is kept at North Ridge Surgery, an Automated External Defibrillator (to treat heart attacks) for the Hawkhurst Community First Responder team (previously one was shared with Cranbrook! ), costing £1000, and a Bath Hoist for the Hospital, costing £5000. 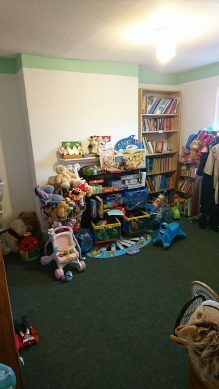 What is probably not known is that we also contributed £5000 towards the cost of the new children’s play equipment in Heartenoak Road, and we have an on-going commitment to provide a selection of daily newspapers for the Day Centre at the Hospital. We have provided the District Nurses of Cranbrook and Hawkhurst with some much needed equipment and books. The Trustees are delighted that we are able to make a positive contribution to both the Hospital and health of our local community, which includes the surrounding villages. To volunteer: Please speak to Marianne in The Green Shop and ask for an Application form. Please remember you do need to be over 14 to volunteer with us.